For those who don't know any better, the game of online blackjack appears to be simple. After all, everyone knows how to count to twenty-one, so how hard can blackjack be? However, playing good blackjack takes a little practice. Before you settle into an blackjack table, you should review our summary of the rules for this fun and exciting game. This Gambling Planet guide includes strategy tips that will help you succeed at playing blackjack online. After you’ve gone through our entire blackjack guide, you can check our reviews of the top online casinos. All of these casinos offer blackjack games at stakes ranging from pennies to hundreds of dollars a hand. Once you’ve learned the finer points of the game and found an online casino that fits your tastes and budget, you can begin playing blackjack online. In doing so, you will avoid making the costly mistakes beginners often make and maximize the chance of walking away from the table with a profit. At online casinos you can get infinitely more blackjack variations. Blackjack is a card game where each player competes for one-on-one with the dealer. The goal in Blackjack is to have a hand which totals 21, or beats the dealer's hand by coming as close to 21 as possible without going over or "busting." If your first two cards are an ace and a ten, that's `blackjack` or "a natural" 21! `Blackjack` always beats a hand that totals 21 by adding the values of more than the first two cards. A picture card is counted as 10, a card from 2-10 is counted at its face value, and an ace can be counted as either 1 or 11. A "hard hand" is a hand that does not contain an ace or contains an ace that can only be counted as 1 so as not to bust. A dealer's ace always counts as 11. You can learn more about how to play Blackjack by reading our full rules page on the game. Below we highlight a few basic terms you'll need to learn prior to playing the game. Stand: When you choose stand you’re finished with the hand and you let the dealer complete his. Draw: When you choose draw you’ll get one additional card. After that, you can decide whether or not you want to stand (unless your card total has exceeded 21). Split: When you get a pair on your first two cards you’re allowed to split them thus creating two hands. When doing this, you have to match your initial bet so that you have two hands with identical wagers. After this, you play these two hands separately just as you would have if they were your first two cards. However, different casinos have different rules regarding re-splitting (when you get a pair on an already split hand) and when you get blackjack on a split hand, some casinos treat that as a regular 21. Double down: When you choose double down, you double your initial wager and get one, and only one, additional card. This is often done when the dealer has, say, a six and you have ten or eleven. Chances are good that you’ll get 20 or 21 (a lot of cards are valued 10.) Also, if the dealer gets two high cards, he’ll bust. Insurance: We don’t have to talk much about this since it’s always a bad decision. But Insurance is basically a side bet you pay when the dealer shows an ace. If the dealer has blackjack, you’ll break even. The only thing you need to remember though is that it offers negative expectation. The goal in blackjack is to get a hand total as close to 21 as possible, or to be more specific, come closer to 21 compared to the dealer (if you go over 21 your hand is dead). You draw cards, add them and decide when it’s too risky to draw any more cards. The ground rules of Blackjack are simple and straightforward and the mechanics involved in playing online blackjack are much the same as those at a blackjack table in the “real world”. However, online blackjack games have certain advantages over their land-based counterparts. Seats at online blackjack tables are almost always available, regardless of the stakes. Also, players can play for much lower stakes at blackjack casinos online. When a player selects a seat at an online blackjack game, he must put down a bet before he receives any cards. A small sign on the table will often display the minimum and maximum bets for that table. After every player has placed their bets, they click the button labelled “Deal” to get their first two cards. Once the software deals the cards, players can’t change their bets. During the course of a hand, however, players have to decide the actions with options such as “Stand”, “Hit”, “Split”, “Double Down”, “Insurance”, and in certain games, “Surrender”. In order to start playing blackjack online, players often do not need a deep theoretical knowledge of the game. In many cases, online blackjack players can use several easy-to-use blackjack tips to get themselves started down the winning path. His total is lower than twelve. His total is between twelve and sixteen and the dealer shows a card between seven and ten. He holds a “soft 17” (e.g. ace-six) and the dealer shows a card between seven and ten. His total is higher than sixteen. His total is between twelve and sixteen and the dealer shows a card between two and six. A player should split pairs of aces and eights. A player should not split pairs of tens and fives. A player should double down if his first two cards total ten or eleven, especially if the dealer shows a card between two and six. One of the things we pride ourselves on the most at Gambling Planet is how great our free games look and feel. The free online blackjack game at Gambling Planet is identical to the real money one which means that not only will our free version serve as the appropriate training space for beginners, but once you want to transition to the real thing, you will already have an idea of what to expect. 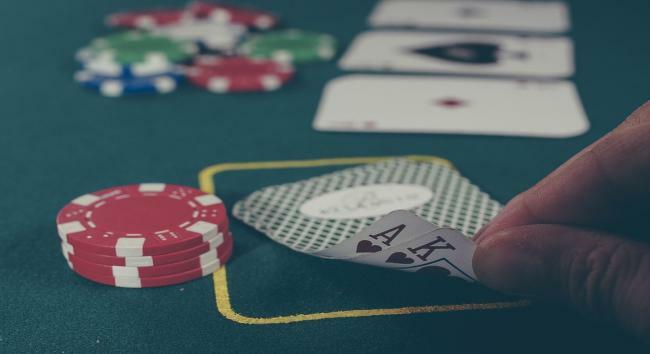 We at Gambling Planet suggest that before you play any version of Blackjack, you take a look at our Blackjack Rules and Blackjack Strategy pages. Most online blackjack casinos offer “play money” games to allow new customers to become familiar with the software, graphics and pace of the game. Once a player gets the feel of the game, he can play the real-money games and start winning cash right away. Where can I play online blackjack with real money? You can play online blackjack for real money at any of the casinos listed in the above toplist. Here at Gambling Planet we have gone through the painstaking process of trying each and every casino out there and only including the best of the best in our toplist. You can also rely on us to give you the best bonuses on the net. Where can I play online blackjack free no download? For many casinos, downloading blackjack games on your phone and taking up much-needed space has become a thing of the past. Nowadays, you can easily find blackjack free no download games on the net and play online too. Live Blackjack gives players the chance to play from their beds or armchairs but still get the full casino experience. Live blackjack players can interact directly with the dealer as if they were sitting at a table in a land-based casino. Take a look at our Live Casinos page for all the information on how to get started. Can you play online blackjack games for free and win real money? Even though you can play online blackjack for free at many online casinos, the reality is that you can only win money by playing with real money. Will I receive online blackjack bonuses on signing up? One can receive an online blackjack bonus on signing up at most online casino sites as long as money as players deposit some real money. If you play blackjack online for free then you probably won't be entitled to a real money bonus. Play at Online Blackjack Real Money Casinos and Start Winning Today! Online casinos have truly revolutionised the way people play because people no longer have to leave the comfort of their homes to play and win. Gone are the days when one would have to spend all their hard earned cash just to be able to learn how to play something. Nowadays, all you need to do is find an online gambling site to play at which amazing bonuses and your favourite kind of online blackjack and you're good to go. May the odds ever be in your favour!